That’s right, Clannad has officially launched on Steam! 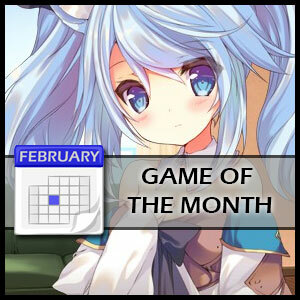 Furthermore, it has already climbed to a top sellers spot on the Steam charts. 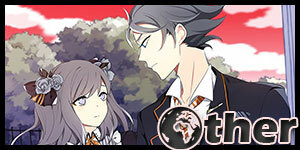 This is an almost unprecedented event for visual novels that has only happened during slow seasons. 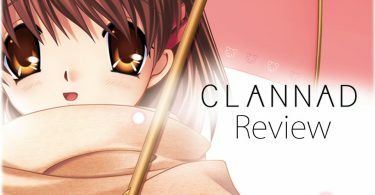 Clannad is well known as a seminal work in bishoujo VNs that has gained widespread appeal in Japan, and with the help of the popular anime adaptation, even some recognition in the rest of the world. 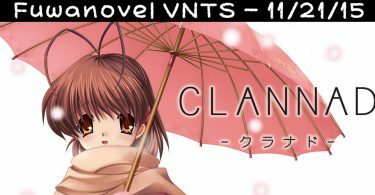 Clannad has been translated to English once already. It was part of an ill-fated translation project run by Baka-Tsuki, a wiki whose aim is to allow translators to collaborate with each other freely. The quality however was less than stellar and has been a subject of heavy criticism for years now. Doki-Fansubs pledged to take over the project and to edit and improve the translation, but after years no progress was made. Things looked bleak until late last year when Sekai Project launched a Kickstarter campaign to bring an official release to the west, bringing in a whopping $541,161 in the process. Launching today on Steam, this new release offers a whole new translation. The video above (captured by ArchonofFail on Reddit) shows an example of the kind of differences you can expect between the two versions. Keep in mind that this is for the common route, other parts of the game such as the important After Story are purported to have a much worse translation quality in the Fan TL. This new translation offers a substantial upgrade over the old one, being both more accurate and flowing more naturally in English, although it can be a bit overly dramatic at times. The Steam release features an HD upgrade, bringing the game to a resolution of 1280×960, and also features a remastered soundtrack. Bad news is that backers who opted to get the physical version will have to wait until January or February to get their hands on the game, according to a recent update on Kickstarter. Physical backers will not be receiving Steam keys. To be perfectly honest, this is a pretty baffling situation to me. Almost all other video game kickstarters offer digital keys in their physical tiers, so why are Sekai Project’s kickstarters any different? Well, can’t say it wasn’t clear, the backers knew what they were and weren’t getting. But it still stings if they weren’t expecting a three month gap. Be patient, friends. It’s not really a big deal but it would be nice if you mentioned where you got the video from. I got it from an anonymous user on 4chan. Upon further investigation, it seems like you made this for Reddit. My apologies for not giving you your due credit. I was wondering whether or not Sekai Project left stuff like honorifics as I’m not too familiar whether their works as I haven’t played them just yet. Sorry for the late reply! 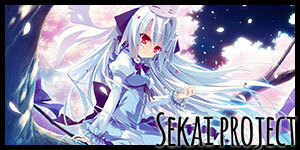 Sekai Project’s release does contain honorifics, and they also explain them in-game. One thing I failed to cover in this article is the Dangopedia, an in-game encyclopedia that describes some facets that might not be immediately obvious to non-Japanese readers.